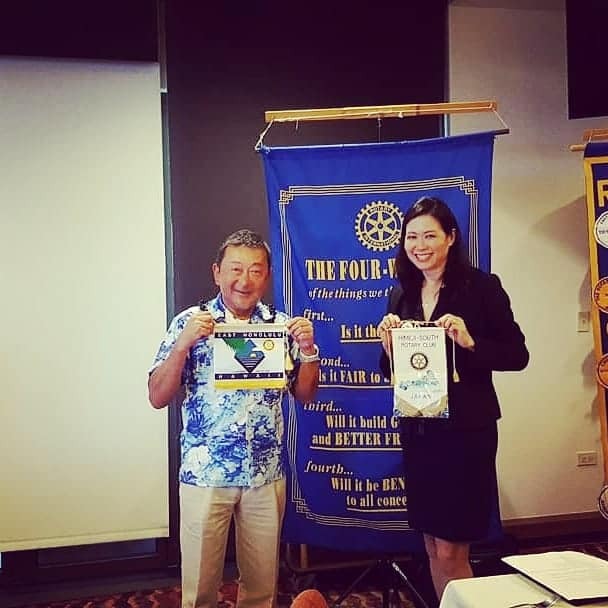 On October 1st, our club was visited by 10 members of the Himeji South Rotary Club from Himeji, Japan - District 2680. 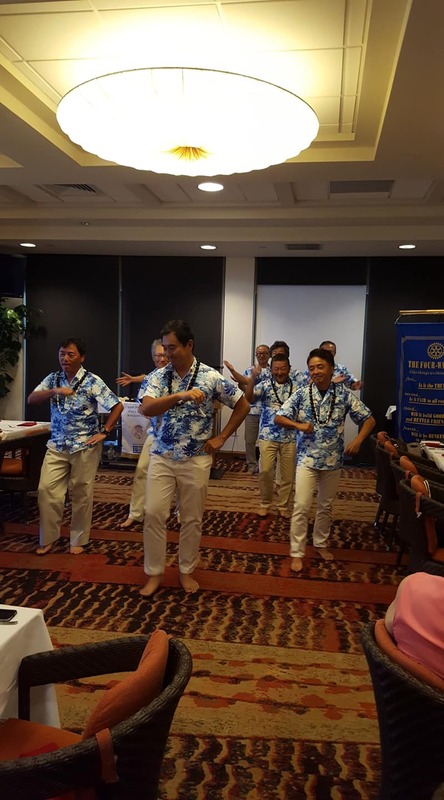 It was a beautiful and spirited meeting starting with our members presenting shell lei to each guest. After exchanging flags, our visitors presented us with 5 beautifully framed photos of Himeji Castle taken from a professional photographer in their club. Some of these photos will be available in the Sake Sushi silent auction! The real treat was an entertaining hula that our guests practiced and prepared for us! What a great day of fellowship this meeting was! 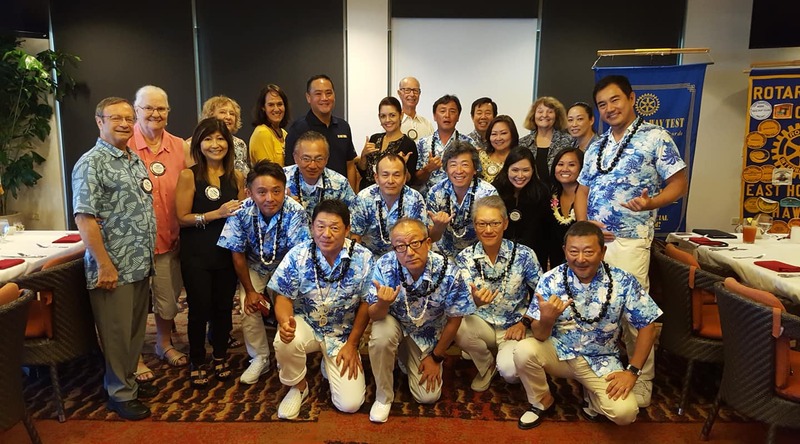 We hope to continue this friendship and have made plans to meet again when they come back for the 2020 International Convention in Hawaii!